One of the biggest challenges for the U.S. healthcare system is the country’s rapidly shifting demographics. 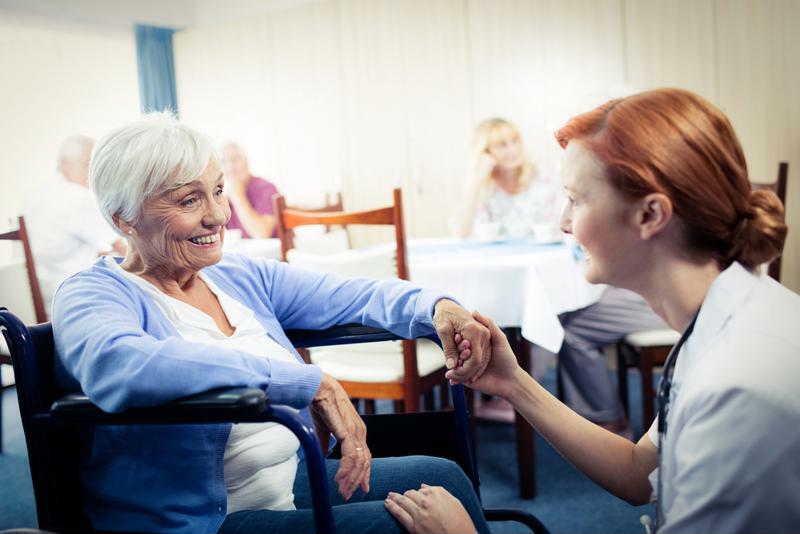 For starters, the mass retirement of baby boomers will spur a 75 percent increase in seniors requiring nursing home care between 2010 and 2030, according to the Population Reference Bureau. Over the longer term, the aging of the even larger millennial generation will pose additional challenges. By 2060, Americans 65 and older (i.e., today’s millennials, Gen-Xers and baby boomers) will represent almost 25 percent of the population, compared to only 15 percent in 2016. The U.S. Centers for Disease Control and Prevention found that deaths from Alzheimer disease rose 25 percent from 1999 to 2014, reaching 25 persons per 100,000. There has been a similarly sharp rise in diabetes cases since 1997; the percentage of Americans with diabetes rose from 3.8 percent that year to 7.4 percent in 2015. Eighteen percent of seniors live alone and 43 percent report feeling lonely. Loneliness is linked to elevated mortality and morbidity. Millennials will confront mounting human and economic costs of these chronic conditions, along with emerging problems such as antibiotic resistance. Rising to these challenges requires a concerted effort from healthcare providers, payers and patients. Alzheimer disease is currently the most expensive disease to manage in the U.S., according to Medicare and Medicaid data. Its impact will broaden as both boomers and millennials fuel an unprecedented uptick in the number of elderly people vulnerable to this neurodegenerative disorder. The Alzheimer’s Association has projected the disease’s direct costs to society in 2017 at $259 billion. Type-2 diabetes takes a similar toll, estimated at $245 billion in 2012. As the largest cohort of workers and patients over the next few decades, millennials will be responsible for developing and improving treatments that target these challenging ailments. They will continue relying on novel combination therapies. These include experimental monoclonal antibodies and gamma-secretase blockers for Alzheimer disease and new drug combinations (e.g.,synergies between alogliptin, metformin and pioglitazone) for diabetes. Both resemble current 3-in- 1 antiretroviral medications used to treat HIV/AIDS. According to Pew Research Center, they are much more likely than their predecessors to support marijuana legalization. Medical marijuana is useful in relieving the nerve pain associated with multiple sclerosis and HIV. They have come of age at a time when once-fringe pain treatments are becoming mainstream. A prime example, despite limited data, is the use of acupuncture to treat migraine and knee osteoarthritis. Such treatments, often not covered by health plans, may influence where millennials seek care and how they pay for it, perpetuating trends (e.g., greater patient payment responsibility) we examined earlier in this series. We know that millennials will struggle with the same chronic diseases of age as previous generations. However, they will also face new risks that could further increase their use of health care services. Many commonly used antibiotics will be over a century old by the time all millennials reach adulthood. In 2013, the CDC found that 2 million people were infected each year by antibiotic-resistant bacteria, and the problem is bound to worsen. A British government report predicted 10 million deaths annually worldwide from such pathogens by 2050, up from 700,000 in 2014. Millennials might also become exceptionally lonely adults, due in part to their distinctive technological preferences we discussed in previous entries. Loneliness has recently been proposed as a de facto chronic illness, with similar impacts on health as obesity and smoking. Since the smartphone era began in 2007, millennials have gradually curtailed social outings and spent more time online. According to the National Institute on Drug Abuse’s Monitoring the Future survey, such activity is tightly correlated with feelings of loneliness, which may contribute to other health problems. Millennials will make up a large portion of the caregiver population. Millennials and their successors will place high demand on healthcare professionals in the coming decades. Already, the loosening of regulations in many states pertaining to nurse practitioner prescriptive authority hints at a looming shortage of tens of thousands of physicians. As workers, millennial doctors, nurses and other staff have distinctive habits. For example, an inVentiv Health Communications survey of 200 physicians found that respondents were highly collaborative clinicians who encouraged patients to perform their own research to prepare for appointments. This focus on patient engagement could steer millennials toward higher use of resources outside the doctor’s office, including retail clinics and wearable trackers, and, by extension, their insurance plans. Throughout this series, we have examined how the historically large size of the millennial generation is reshaping healthcare. Millennials spearheaded the introduction of technologies such as smartphones and cloud computing into the sector, increased the influence of online provider reviews, accelerated the growth of retail clinics and made telehealth applications more prevalent. Ultimately, they will present a unique challenge to the sustainability of existing health plans and services as they age. Given the vast range of new and old treatments needed to manage their conditions, utilization review and independent medical review from an experienced partner like Advanced Medical Reviews (AMR) will prove essential to delivering the highest quality care for everyone.